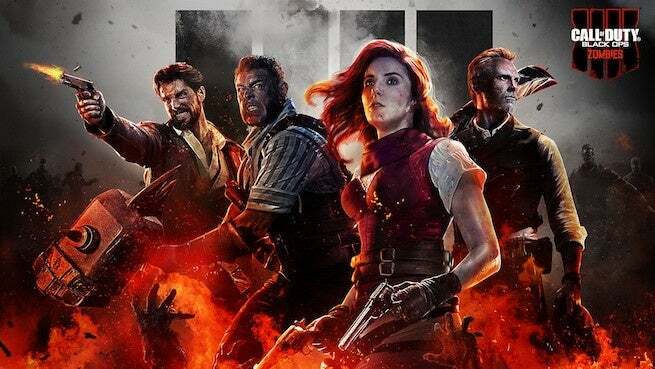 A former Treyarch employee has revealed a variety of Call of Duty: Black Ops 4 Zombies secrets following what they claim was an unfair firing earlier today. The whole debacle went down on Reddit, where one reportedly former employee, a Zombies quality assurance tester, spilled the beans on the remaining mysteries in the game's popular mode in an attempt to draw more attention to "how badly the QA Department is treated." It's worth noting that, at the moment, there has been no confirmation that the poster used to work at the studio, but his information and insight into formerly unsolved Zombies mysteries suggests he's telling the truth. The disgruntled ex-Treyarch staffer claims they were unfairly fired and treated after a minor miscommunication that involved the QA team and when they were allowed to take a lunch break. Apparently, the situation escalated to the point that security was called in, because the employee was refusing to leave without their personal belongings. That said, as you may know, a big part of Call of Duty Zombies is its easter eggs, secrets, and mysteries that often take months for players to solve, and thus, a QA tester with knowledge of how everything in the mode works, is a goldmine for players in the Zombies community looking for answers. As mentioned above, it hasn't been confirmed that the Reddit poster was an actual Treyarch employee, however, how else he could come across this knowledge isn't clear. In the thread, the former employee reveals numerous mysteries, including the missing steps for the Viking Boat puzzle on IX -- which has since been checked and validated. The QA leaker also revealed how to do the Samatha "Crooked Man in a Crooked House" easter egg, which has also since been validated. Elsewhere in the thread, the former employee revealed the purposes of the valves located in the Engine Room in Voyage of Despair, and also revealed the exact method and procedure to get the Siren song to play, which, again, was previously a mystery. Due to the fact that we don't have confirmation that this person was formerly a QA tester on the game, all of this should be taken with a grain of salt. Or at least the personal story, because all the leaks provided have been real. And again, how else someone would come across these goldmine of leaks and information if they weren't a former employee, isn't clear, perhaps validating that the poster is indeed who they claim to be. At the moment of writing this, Treyarch nor Activision have commented on the situaiton.